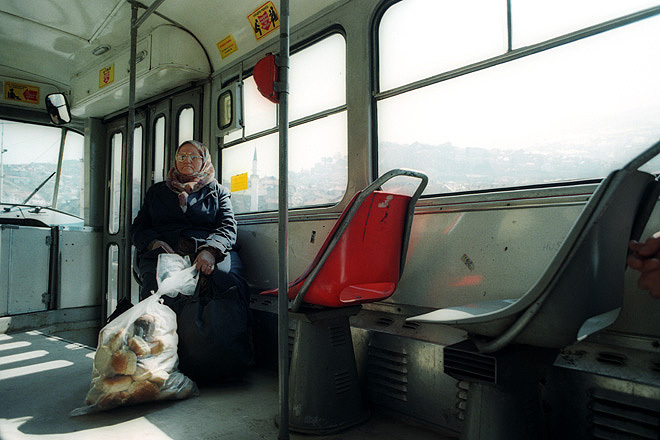 Old lady with bread on a Sarajevo tram. 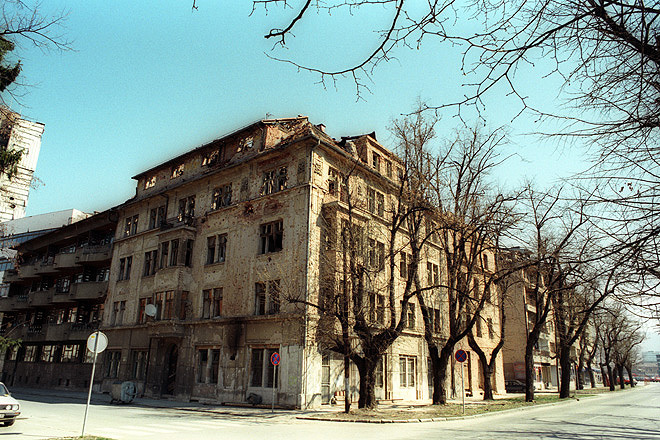 Sarajevo, shell-damaged building in the city centre. 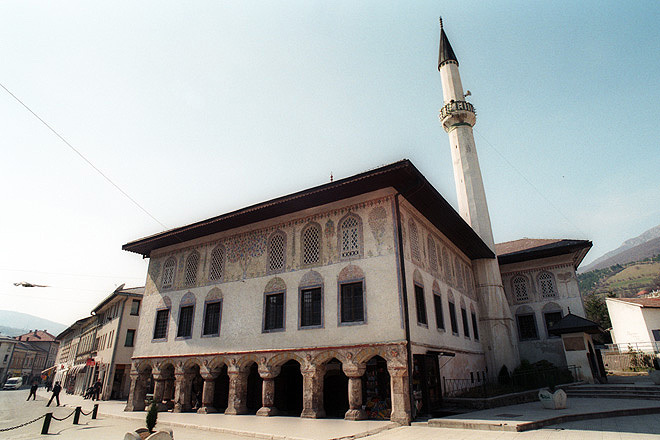 Novi Seher, a small village in central Bosnia. 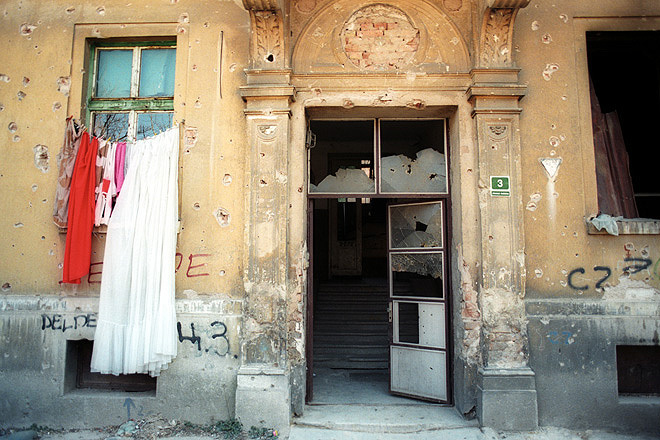 The region was severely affected by the war and most homes were destroyed. 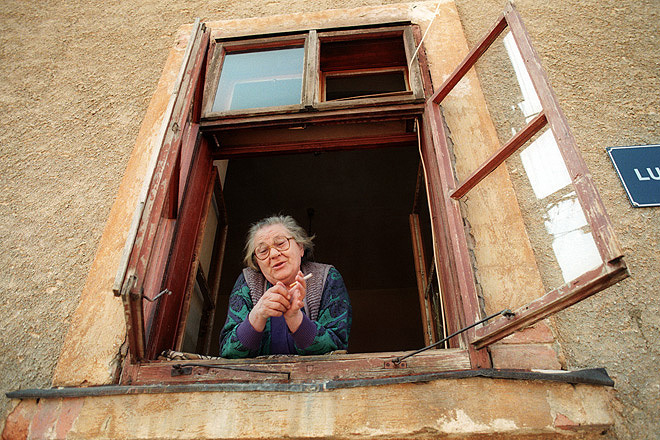 However, refugees are now returning gradually and rebuilding their homes. 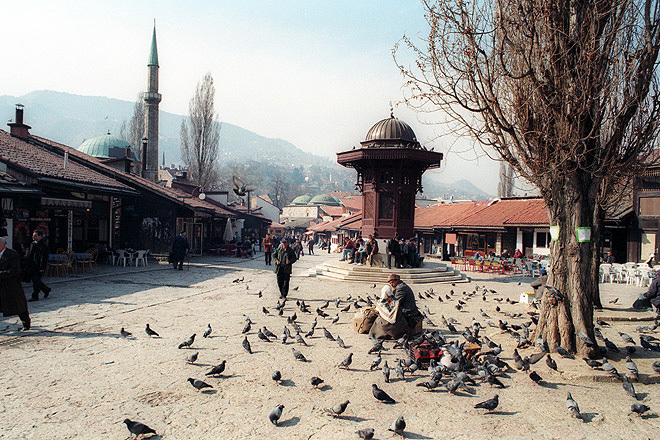 Novi Seher, a small village in central Bosnia. 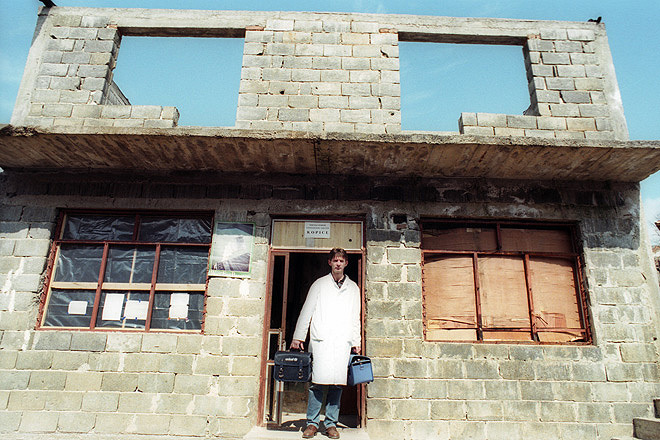 A medical team visits remote villages and provides villagers with basic health care. 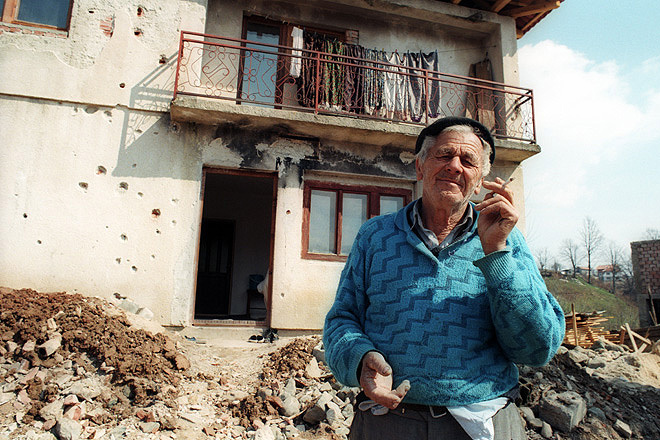 The region was severely affected by the war and most homes were destroyed. 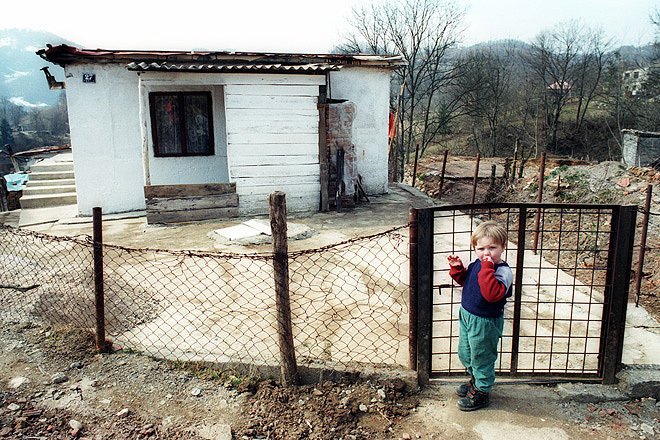 Kosova, a small village in central Bosnia. 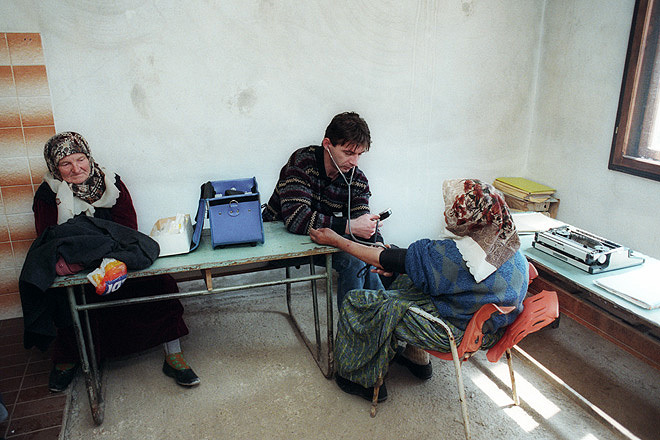 A medical team visits remote villages and provides villagers with basic health care. 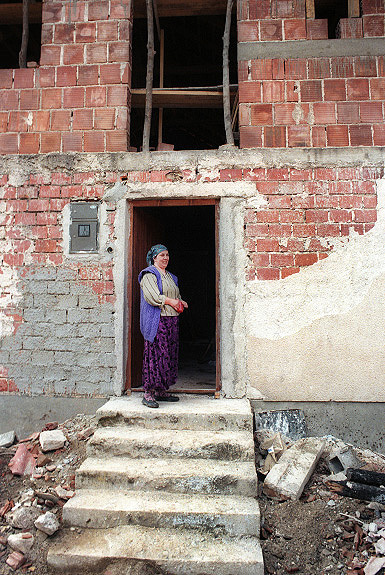 The region was severely affected by the war and many homes were destroyed. 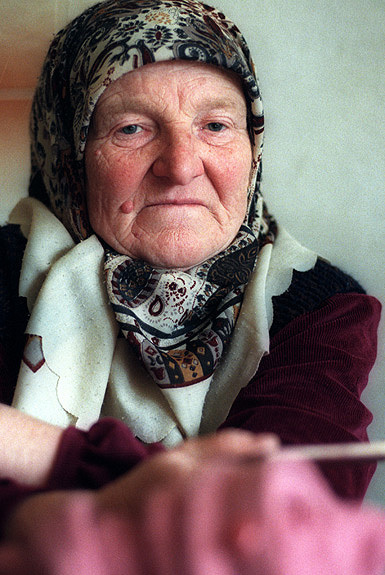 An old lady in Travnik. 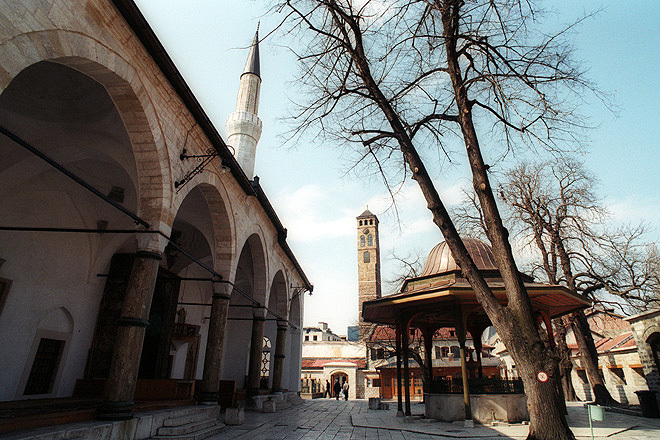 Sarajevo, old mosque in the city centre. Novi Seher, a small village in central Bosnia. 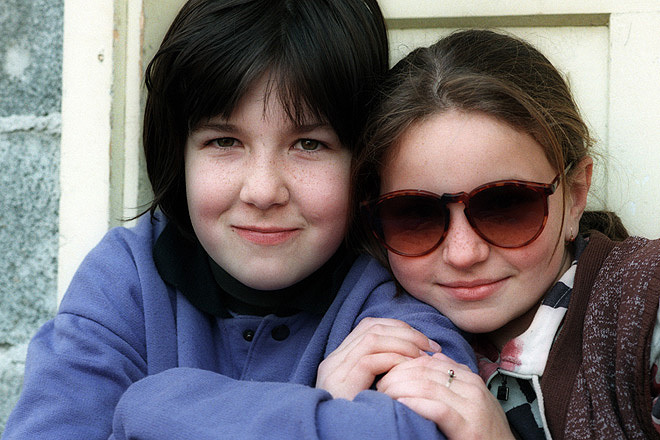 Villagers enjoy the early spring sun. 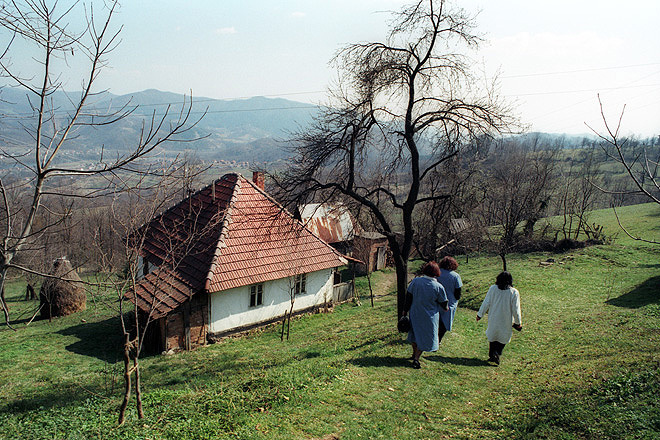 Novi Seher, a small village in central Bosnia. 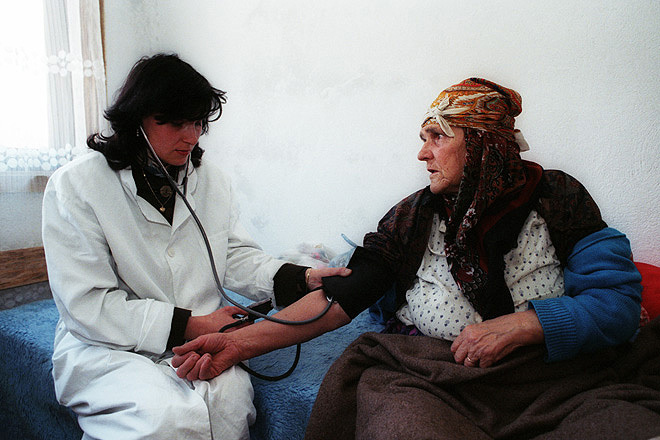 An old lady in medical clinic waits for treatment. 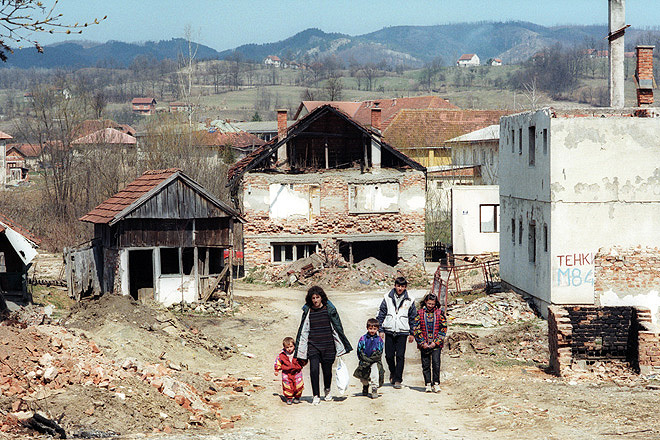 The region was severely affected by the war and most homes were destroyed. 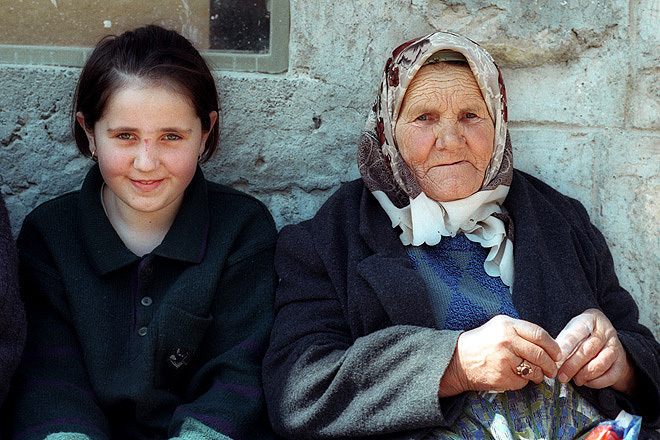 Girls in Novi Seher, a small village in central Bosnia. 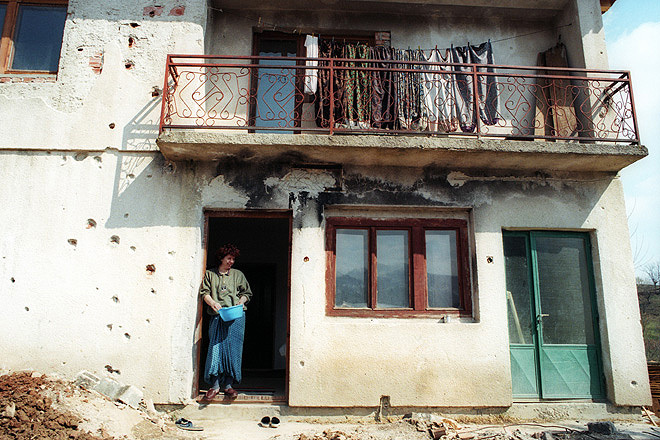 The region was severely hit by the war, and most homes were destroyed.